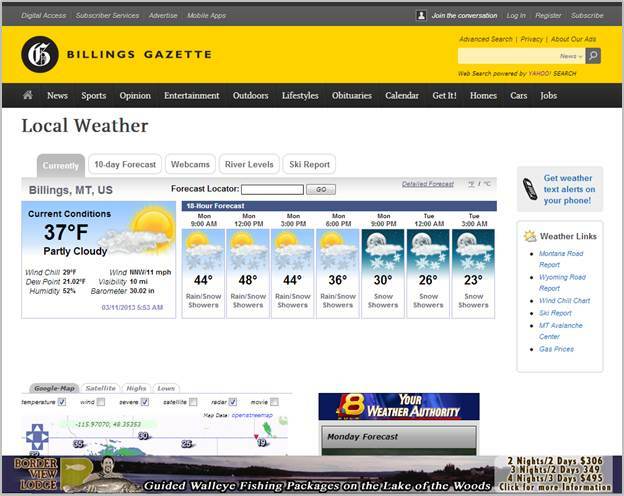 Own the home page: The gravity ad offers premier advertising placement covering the home page of the region’s #1 most visited local website – billingsgazette.comPowerful digital advertising tool to get your message in front of our massive audience and your customers. 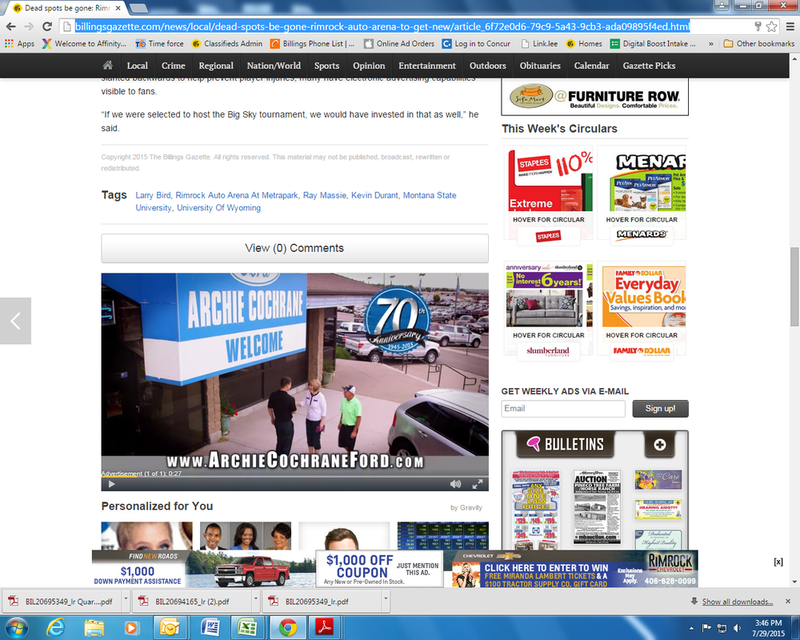 Put your commercial online in front of our growing digital audience. TV viewership continues to decline and migrate to online video..Don’t get left behind! 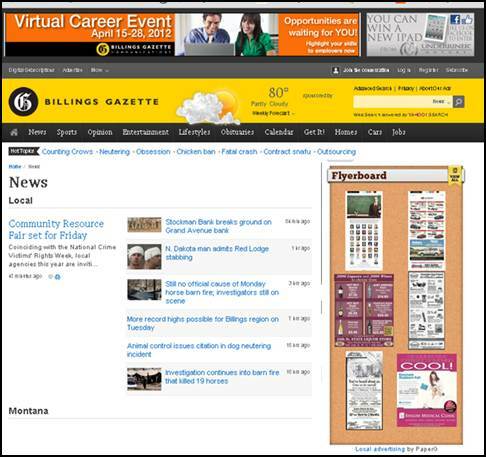 Anchor your ad on the homepage of billingsgazette.com. 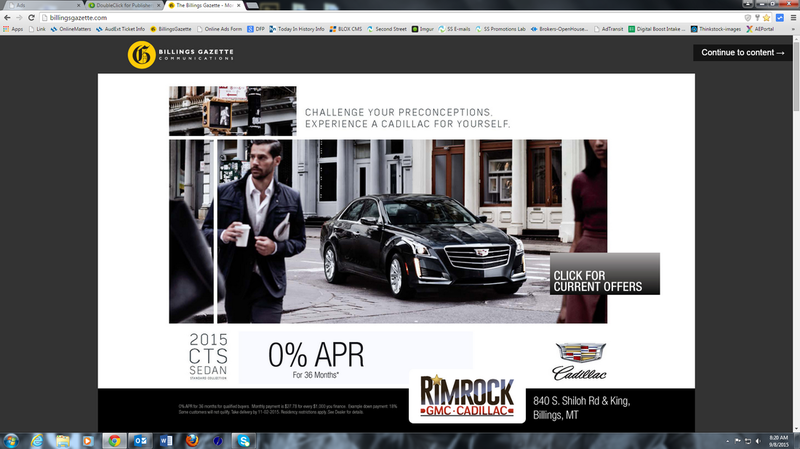 This high-impact creative ad with high frequency and visibility that stays with the user for 3 page views. 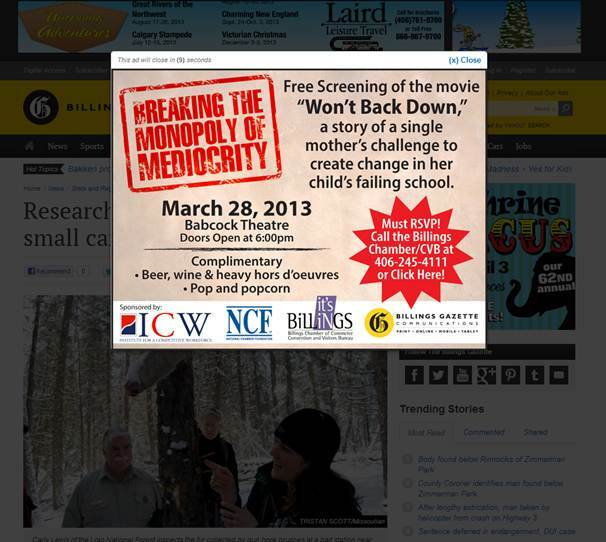 Get recognition with a high impact website interstitial with capabilities to run video, rich media or static creative. Appears one time per unique visitor every 24 hours. Utilize an online poster board. 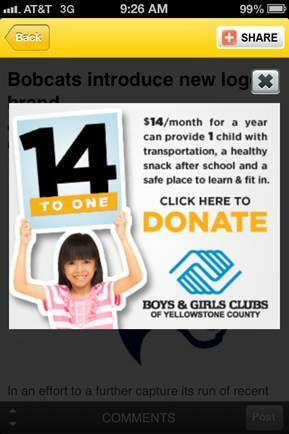 Print ads appear on billingsgazette.com on our mobile and app edition and will include a business description profile, website direct link, share links, and much more! 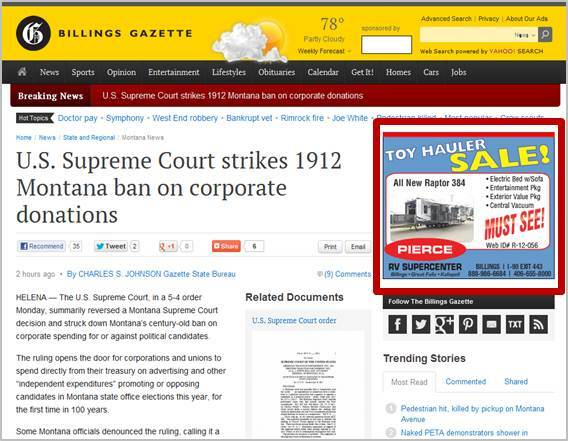 Receive high exposure through a big ad on billingsgazette.com. The advertising posting is placed within new content and is Jivox video capable. Engage our massive online audience with expanding the video and interactive buttons to generate results. Make your message stand out with this high impact advertising position. The mobile interstitial ads have an extreme live engagement and click through rate on all mobile platform ads (mobile website, iPhone & Android apps). You can reach the younger, mobile audience on their phone and increase your sales through our mobile banner ads. 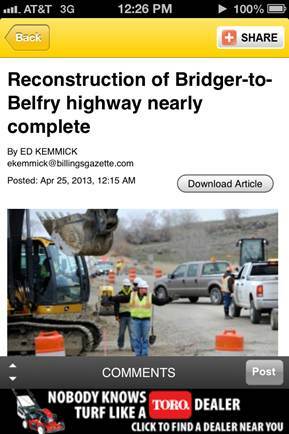 Our average page views are 2 million a month across our mobile website and our iPhone and Android apps.